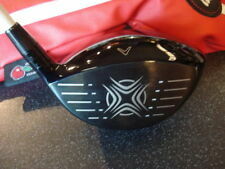 New listingLeft Hand XX10 (11.5’) Driver. Left Hand XX10 (11.5’) Driver. Fitted with brand new Aldila Thunderbolt stiff graphite shaft. Fitted with brand new Golf Pride Super Tack Grip. Head has very small scratch on hosel. Matching headcover. Head in good condition. 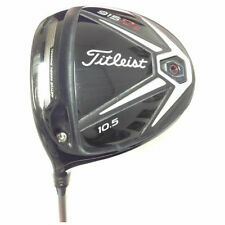 When I checked what these drivers go for new I was totally shocked to see retail was around £699. Grab a great driver at a bargain price. Left Handed Nike Covert Vrs Tour Driver with Kuro Kage 50g Stiff Shaft A lovely Driver for sale here. Not only does it look great but the performance is fantastic. I have recently purchased a new driver hence why I am selling. This driver will not disappoint for somebody looking to upgrade to a tour level club for that extra distance off the tee ! I have the tool aswell to adjust the club. Collection can be arranged if you a local and I will refund the postage if you collect. Happy Bidding. LEFT HANDED TAYLORMADE R7 460CC 10.5 DEGREE *DRAW* DRIVER REGULAR GRAPHITE. Condition is Used. Dispatched with eBay delivery – Shutl 2-3 days. 10.5 deg loft. Left handed. Graphite Black stiff flex shaft. Great feel and weight, lovely club too hit. Overall great buy I rate it 7/10. 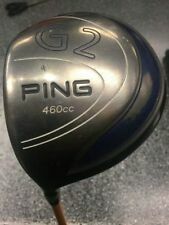 This club is in Good used condition with just normal wear which can be seen in the pictures. The face and sole are in Good condition. I can send it with Parcelforce 24 for an extra £10.00. LEFT HANDED CALLAWAY DRIVER.WELL USED. PARAGON K1 R flex golf club set. Plus K1 no3 fairway wood. plus no3 fairway wood. High Launch - Maximum Distance. this has the effect of closing the club face slightly upon impact, counteracting the slice spin to create a more neutral to draw biased flight. 2018 TaylorMade 460 M4 9.5 Head Left Hand. Matching Cover and Key. Left Handed TaylorMade R11 ASP. 10.5 Degree Driver. Cobra AMP Cell Silver Driver men's Adjustable Driver Left Hand. Condition is mint. Dispatched with eBay delivery – Shutl 1 day. Including head cover. Left Handed TaylorMade R9 FCT 9.5 Degree Driver Stiff Graphite Shaft Multi Comp. 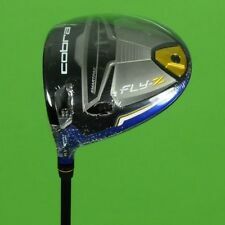 KING COBRA 400sz Left Handed Head Only And Head Cover New Shaft Needed. Condition is Used. Dispatched with Other Courier 3 days. Left Handed Titleist 905R 10.5° Regular Shaft Aldila NVS 65.R. A great Driver here for sale. I am having a clear out hence the sale. This driver served me very well and is ideal for anybody starting out perhaps who wants a quality driver. As you can see from the photos some marks on the face etc but nothing significant. I can sort out collection if you are local and sort out the refund for the delivery. Callaway X Tour 460. Callaway Grip. Fujikura Tour Platform Series Regular Flex 350 Tip Graphite Shaft. Left Handed9.5 Degree Driver. LEFT HAND TAYLORMADE M4 DRIVER 10.5° we'll value your woods / irons. Very slight soft dent on crown at trailing edge. I tried to photograph it but it is very slight and hard to photograph. Lightweight shaft and grip promotes faster swing speed for increased distance. STIFF FLEX ALDILA HABANERO 60 GRAM GRAPHITE SHAFT. CALLAWAY ALL WEATHER GRIP. MATCHING HEAD COVER. NEW CLEVELAND BLACK 1 WOOD DRIVER GOLF CLUB. INTERNATIONAL FLEX CODE 5621. 100 PERCENT GENUINE. NEW CLEVELAND BLACK 1 WOOD DRIVER GOLF CLUB. INTERNATIONAL FLEX CODE 3411. 100 PERCENT GENUINE. Tensei Blue CK Series 60 Regular Flex. 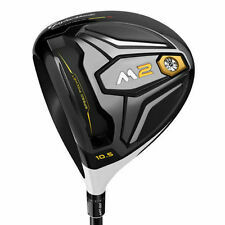 TaylorMade M2 2017 Driver. 10.5 Degree. Left Handed. (All photos are of the actual club being sold). Condition Details. Wrench: Included. Reference: TADRM20001. Model - Vapor Fly. Loft - Adjustable 8.5-12.5°. Head Cover - No Cover. Live local?. Bring your old clubs with you! Head Condition - 8 Excellent. Nike VRS Covert Tour 2.0 Left Hand Driver 8.5 - 12.5 with an Extra Stiff Shaft. Club: Nike VRS Covert Tour 2.0 Left Handed Driver. Shaft: Fujikura Speeder 757. Driver, woods/hybrids and putter heads have light wear such as strike marks on the face from use and markings on the sole from general play. Left Hand XX10 (11.5’) Driver.